Home / Event / Rudy Francisco Features at Palabra! 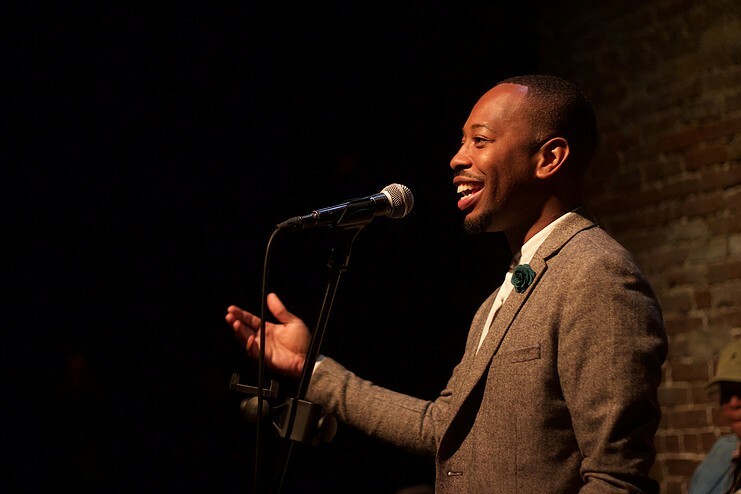 Rudy Francisco is one of the most recognizable names in Spoken Word Poetry. He was born, raised and still resides in San Diego, California. At the age of 21, Rudy completed his B.A in Psychology and decided to continue his education by pursuing a M.A in Organizational Studies. As an artist, Rudy Francisco is an amalgamation of social critique, introspection, honesty and humor. He uses personal narratives to discuss the politics of race, class, gender and religion while simultaneously pinpointing and reinforcing the interconnected nature of human existence. Rudy Francisco seeks to create work that promotes healthy dialogue, discourse and social change. Furthermore, Rudy has made conscious efforts to cultivate young poets and expose the youth to the genre of Spoken Word Poetry via coaching, workshops and performances at preparatory schools and community centers. Rudy has also received admiration from institutions of higher education. He has conducted guest lectures and performances at countless colleges and universities across the nation. After the featured reading we will have an open mic. Everyone is welcome to come and share a poem, song lyrics, reading or a short story or just bring your ears for listening and enjoy the evening. Original poetry is always appreciated. Everyone needs some place to speak their minds and Palabra is that place. We are an inclusive and supportive group that aim to provide a safe, nonjudgmental, positive environment, so all talent levels are welcome.